Roythornes has been serving businesses and individuals across generations for over 80 years. 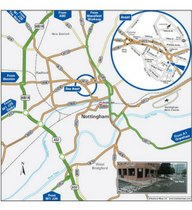 Our strategically located offices are hubs of trusted advice to cover all eventualities. From individual clients going through some of the most difficult experiences in their lives to thriving national businesses looking to take their next steps at home or abroad, we provide a full spectrum of commercial advice. Our presence, in turn, benefits the community by being able to advise enterprises looking to provide jobs for thousands of people living in uncertain times. The firm was founded in 1934 by Edmund Roythorne, with the initial intention of providing a legal resource for those involved with the shooting and game communities. We soon developed to be specialists in agriculture, property and subsequently the food and drink sector, picking up other specialisms and services along the way. Over the years, we have moved offices several times before finding our homes in Enterprise Way, Pinchbeck, Peterborough, Nottingham and Alconbury to be as close to our core clients as possible.